Hopefully, you enjoy Lil Wayne and champagne, because both are about to be all over your commercial breaks as the stars of Samsung’s new line of Galaxy S7 commercials. We first saw Wayne in Samsung’s Oscar commercials alongside a bunch of other celebs, but he seems to have emerged as the lead in the S7 and S7 Edge campaign. The commercials aren’t bad. 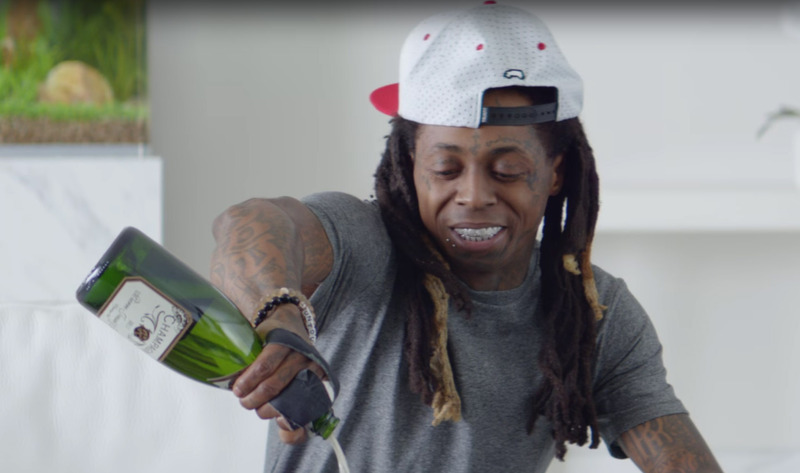 Lil Wayne can be a funny dude, especially when he’s mocking his own lifestyle and his friends and the thought of wasting really expensive champagne to show that his phone is water resistant. Will these help Samsung sell lots of phones? They might. I don’t know. UPDATE: Weird, Samsung made two of the champagne videos private. Oh, he’s also doing ads for the Gear VR that don’t involve champagne, but do involve Weezy speaking in the 3rd person. And Wesley Snipes.